Are you familiar with the term “closet vomit”? OK, so you might not find it in Webster’s, but it’s a very important fashion term. And it comes to mind whenever I see someone wearing a smorgasbord of prints. I’m talking leopard with florals, polka dots with stripes, or even plaid with zebra. But then, something crazy happened. I went from thinking this was a huge fashion faux pas to actually wanting to mix my prints. So, what made me change my mind? The wise words of fashion stylists Stephanie Rygorsky, Lani Inlander, and Katharine Polk. They told me that by pairing multiple prints, I could get away with wearing my favorite leopard print blouse two nights in a row. Whaaat? This meant I could create a brand new outfit without actually having to buy anything new. Once I wrapped my head around this fact, the stylists also helped me realize that the real reason I hated the trend was because I had never seen it done right. See, most people just randomly try “anything and everything,” but there’s actually a system to it. (This is why celebs pay stylists the big bucks.) There are some rules you definitely shouldn’t break when mixing and matching prints. 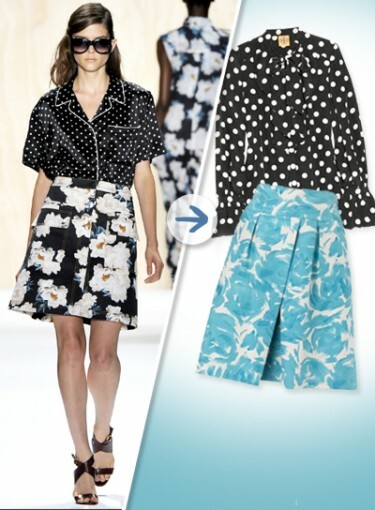 Keep clicking to see exactly what these multiple print fashion tips and must-not-ignore rules are.